We are deeply involved in all things aquatic…as our name implies. We specialize in designing and installing custom aquariums, ponds, and aquaponic systems.We will establish goals and make a plan to achieve optimum potential of your system. Our promise is to give you positive results in compliance with your personal standards. Neck Deep Aquatics opened for business in January of 2017. The owner, Maxwell Petty, is seriously involved in all things aquatic. He became PADI open water certified in 2001. San Bar pets was a classic little Mom and Pop style pet store in Costa Mesa. This is where Max’s journey began as his first job at the age of 14. His passion and enthusiasm took root and grew quickly. He began servicing aquariums on his bicycle at the age of 16 around Costa Mesa. By the age of 21 he became a certified PADI divemaster. Max has been helping people enjoy fish for most his life. He has serviced aquariums and ponds all over San Diego, Orange County, Riverside, and Los Angeles. He has worked for Exotic fish in Orange and Living Art Aquatic design in LA. Max has worked on aquarium and pond systems for celebrities and royalty. Aquaponics became integrated in 2008. Max became inspired by his son at the time who developed a taste for leafy greens. Wanting to encourage this behavior he planted a garden for his son. He discovered Aquaponics in his research. Max’s passion soon took him to the big island of Hawaii for a month long internship on a commercial Aquaponics farm where he refined his skills. Maxwell Petty is more than just a fish guy. He is dedicated to helping people enjoy the relaxing benefits of fish swimming through captivating aquatic environments. With aquaponics, he will help you grow healthy, natural food for you and your family. Experience the wonders under the surface with Max in the ocean and from the comfort of your house or office. With our free consultation you will receive a status evaluation of your system. We will establish goals and make a plan to achieve optimum potential of your system. 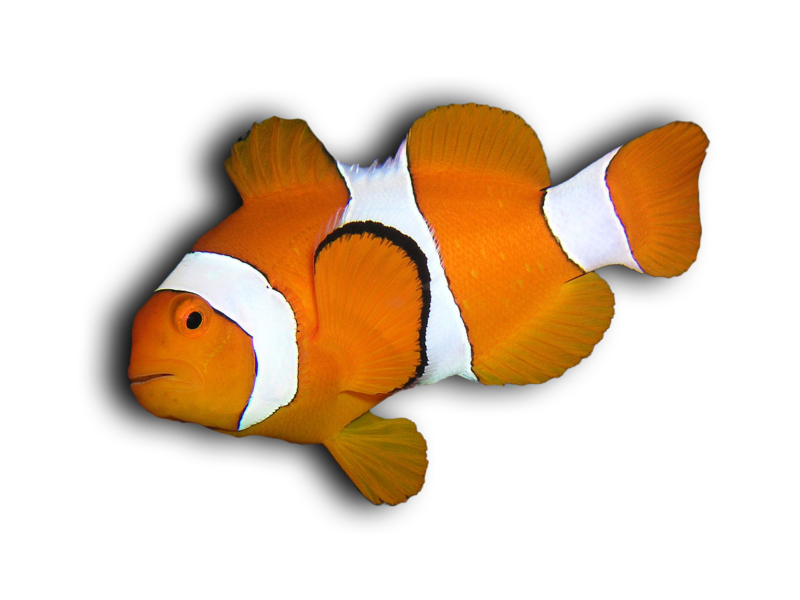 Made famous in the movie Finding Nemo, the Ocellaris clownfish or Amphiprion ocellaris, live at the bottom of shallow seas in sheltered reefs or in shallow lagoons. Anemonefish and sea anemones have a symbiotic, mutualistic relationship, where among other shared benefits, the Clownfish will remove parasites from the anemone, in return for protection from predators and scraps of food! 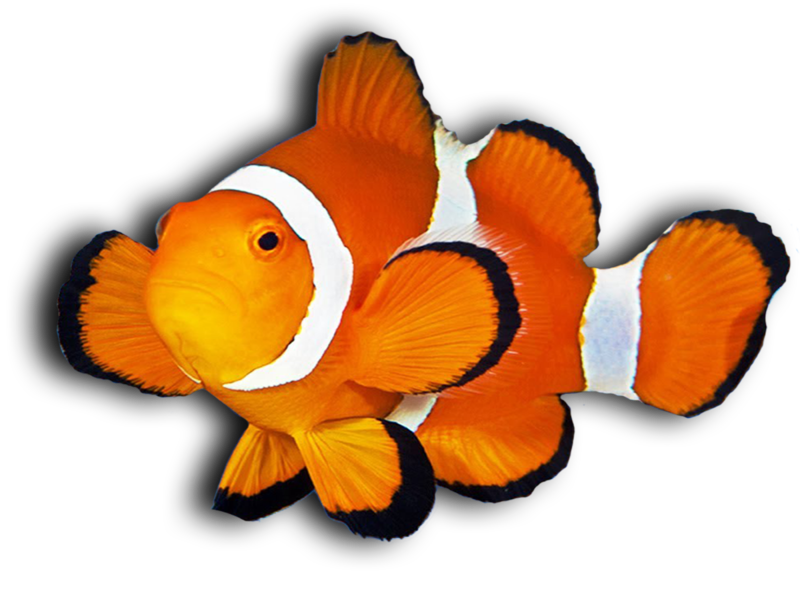 A beautiful saltwater species, these fish experienced a huge spike in demand for home aquarium use when Finding Nemo was released.